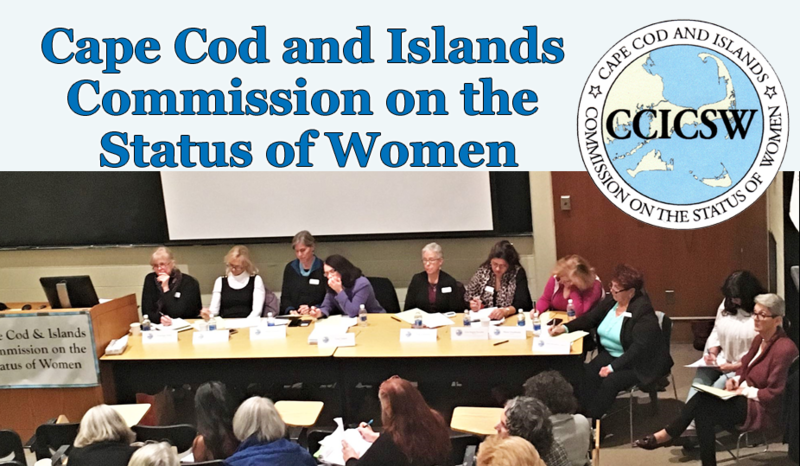 Join the Cape Cod and Islands Commission on the Status of Women (CCICSW) at our next meeting on Monday, June 9 at 6 p.m. in the Conference Room at the Sandwich Council on Aging located at 270 Quaker Meeting House Rd. E. Sandwich. During the 30-minute public comment period which begins at 6, you’re invited to bring Commissioners your ideas, issues of concern and any other comments as they pertain to the lives of women here. The CCICSW is part of the statewide Massachusetts Commission on the Status of Women which became law in 2009.